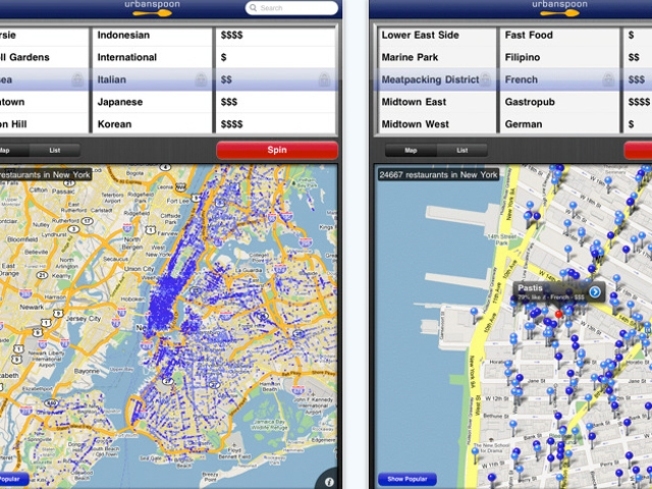 The Urbanspoon iPad app is meant to take a bite out of OpenTable's market. The mobile restaurant reservation competition is heating up, again. Popular iPhone app Urbanspoon is taking another shot at the San Francisco-based OpenTable. With more than 10 million iPhone downloads, Urbanspoon is trying its luck with Apple's latest device, the iPad. Except this time, instead of simply helping you find where to eat with the shake of your phone, Urbanspoon wants to help iPad users find a place at the table as well. The company announced the launch of RezBook, an iPad app that connects restaurants' open tables directly with hungry techies. The service is currently available only in Seattle and Los Angeles but the New York Times reports with already 45,000 people who have used the app to make a reservation, Urbanspoon is hoping to expand into new markets. The problem is OpenTable already has a strong hold on the digital restaurant reservation market. OpenTable has more than 13,000 restaurants across the country who pay for a seat on the company's website and app. But Urbanspoon has a plan to expand its market share: undercut the competition. More than 100 restaurants so far have agreed to pay Urbanspoon a $99 monthly subscription plus a $1 commission for each diner seated. The New York Times says the move will allow Urbanspoon to target smaller restaurants who may not be able to afford anything on OpenTable's menu.